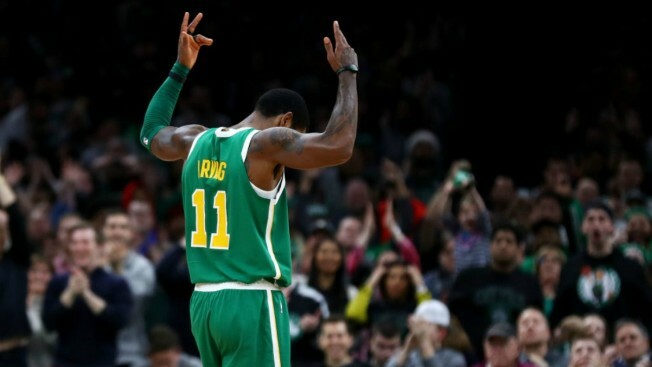 Kyrie Irving hit back-to-back 3-pointers in overtime for six of his 40 points and the Boston Celtics rallied to a 121-114 win over the Philadelphia 76ers on Tuesday night. 76ers: Wilson Chandler returned after missing Saturday's win over Toronto with a left quad contusion. He finished with 15 points. Philadelphia reserves did not score a point in the first half. Redick got a technical after he was called for a foul with 7:32 left in the third. Irving made the free throw to put Boston up 70-63. G Markelle Fultz traveled with the team but did not dress. Fultz, the No. 1 overall pick in the 2017 draft, has missed the last 15 games with thoracic outlet syndrome. Celtics: Irving had 16 points and five rebounds in the first quarter. C Aron Baynes (broken finger) missed his third straight game. Horford's minutes restriction was increased from 20 to 25 minutes in his second game back since missing seven in a row with a sore left knee.